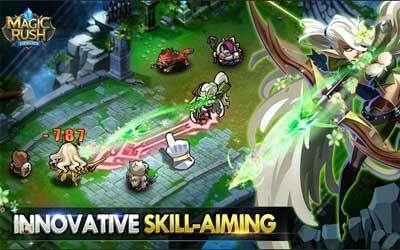 Previous version Magic Rush: Heroes 1.1.132 apk for Android will help you to downgrade or install older app easily. This is one of the best Role Playing apps. Added “Abner’s Prophecy” to the right side of the main page. Abner will foretell of new content to come in future updates. Fixed a problem potentially causing Abyss Treasure to be in an abnormal state at daily reset time. Fixed a problem causing monster number in Normal Abyss to be inaccurate. Re-ordered avatar selections in the player avatar selection page.